Jaipur post a Notification for the Recruitment of Faculty Jobs Vacancies ? 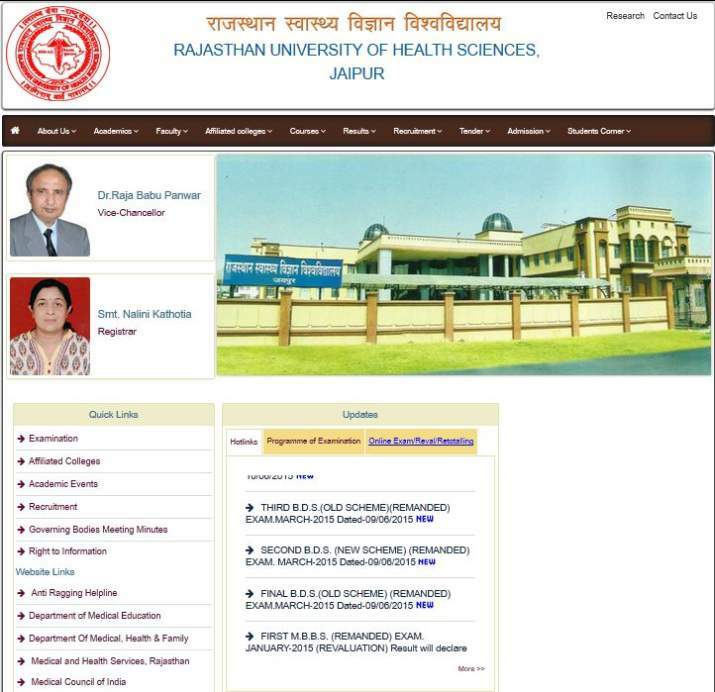 From where do I get information regarding the Rajasthan university of health sciences Teaching Notification ? Follow the steps mentioned below , you get the information regarding the Rajasthan university of health sciences Teaching Notification details . Click at Recruitment on the top. As on 11- May -2015 no current openings are available .